1. Taj Mahal, one of the New Seven Wonders of the World (declared in 2007), is an enormous white marble mausoleum which was commissioned by Mughal Emperor Shah Jahan in remembrance of his most beloved wife Mumtaz Mahal who died in the process of giving birth to their 14th child. 2. The construction of Taj Mahal took nearly 22 years starting from 1632 (almost a year after the death of the Empress Mumtaz) and ending in 1653. The cost of construction of this magnificent structure at that time was estimated a massive Rs. 32 million which should be at least above $1 billion in terms of today’s monetary value. 3. Although it is a Mughal architectural structure, its design is influenced by Indian, Persian and Islamic architectural patterns as well. The structure is located on the southern bank of the Yamuna River in Agra. 4. Ahmed Lahauri is the architect behind magical beauty of Taj Mahal. Nearly 20000 people worked under him to build the structure. These workers include labourers, calligraphers, embroidery artists, painters, stonecutters and many others. Some 1000 elephants were used to transport the stones and materials required for the construction. 5. Currently, the fees for entry into the Taj Mahal are Rs. 750 for foreign tourists, Rs. 510 for tourists from SAARC and BIMSTEC member countries, Rs. 20 for domestic Indians and free for children below 15 years of age. 6. Every year, Taj Mahal attracts from 2 to 4 million tourists from around the world. According to estimates, around 45000 people visit the Taj every day in a peak season. 7. The height of Taj Mahal is 171 metres which equals to 561 feet. 8. The entire area of Taj Mahal is 17 hectares which include the main structure of Taj Mahal, a mosque, a guest house, a garden, a reflecting pool and several other buildings. 9. 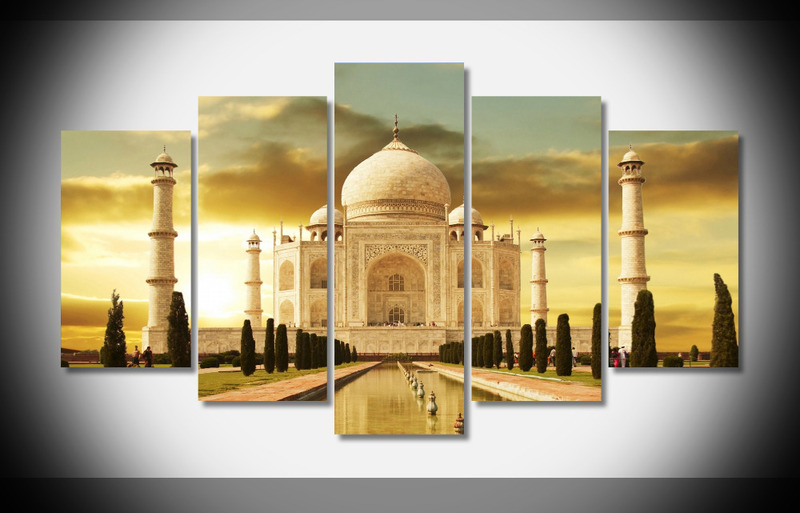 The Meaning of “Taj Mahal” is “Crown of Palaces”. 10. The Taj Mahal was declared a UNESCO World Heritage Site in 1983. 11. One of the most notable Taj Mahal facts is that 99 names of Allah are written in calligraphic inscriptions in one of the sides of the Taj Mahal. 12. Shah Jahan’s grave was added to Taj Mahal in 1666. One of the most interesting Taj Mahal facts is that it is made entirely out of marbles. The best quality marbles for the construction were brought from China, Tibet, Afghanistan and Rajasthan. It is beloved that more than 28 kinds of precious and semi-precious stones were also inlaid into the marbles. So, a vast portion of cost was incurred buying those precious stones. One lesser known yet very interesting Taj Mahal facts is that Emperor Shah Jahan wanted to build another structure on the other side of the Yamuna River with black marbles but failed due to the war with his sons. Everybody knows the color of the Taj Mahal changes in different parts of a day. In the morning, it looks pinkish hue. In the evening, it looks milky white and at a moon lit night, it takes a golden color. Perhaps the craziest of all Taj Mahal fun facts is that many believe the changing pattern of colors depict the different moods of a woman! 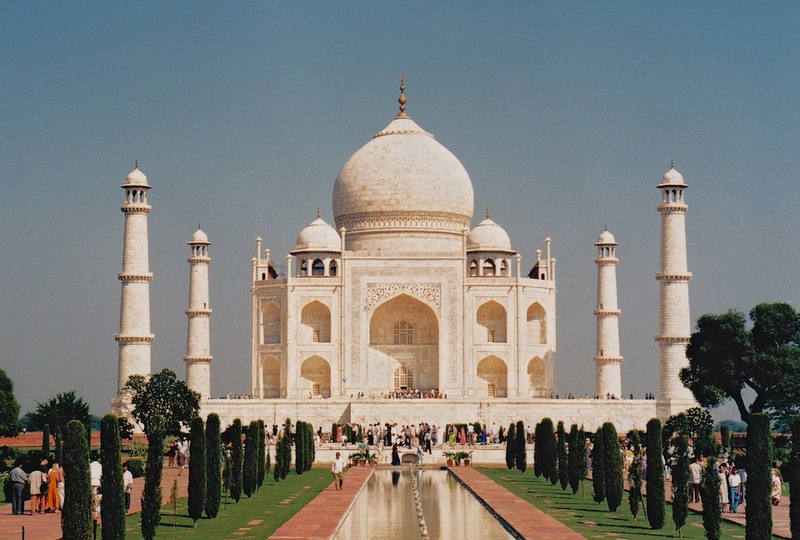 2 Comments on "15 Incredible Taj Mahal Facts You Must Know"
An artisan who came to know that cited to amputate arms of all the artisan’s who helped create Taj Mahal, decided to sabotage the emperor’s dream of creating a masterpiece. There is said to be a small hole on the ceiling of he main hall above the tombstone if Mumtaz Mahal !